CPG Aeronautics.... » June 26, 2011 wrap-up..
Four fantastic flights today! 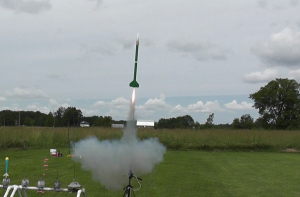 Two flights from Aurora X5 “Firefly”, and two from Artemis X2 “Garfield”. Aurora X5 “Firefly” was flown with two purposes. 1), to test out the MK-II Camera pod system. 2) to try to capture some aerial photographs of the location where X4 Perseus Gallifrey was last seen on decent over the wooded area of the field. 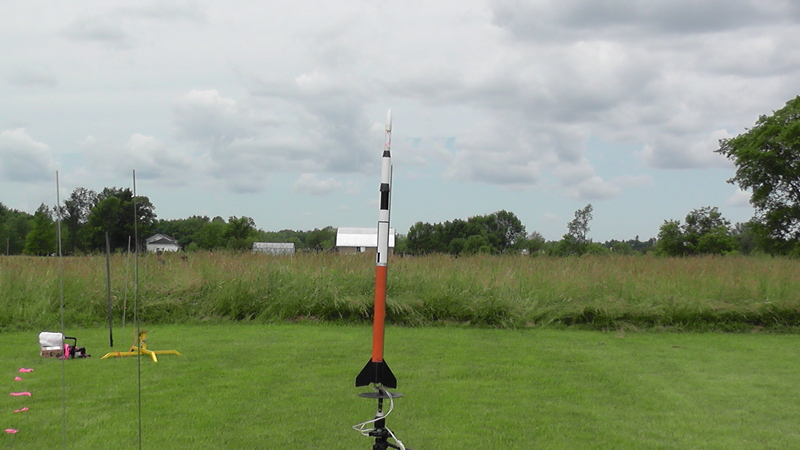 While we were unable to get any clear pictures of the tree field (winds were not favorable enough to orient the rocket to get a good picture), the new camera pod’s performance was QUITE impressive. Firefly had considerably less drag with this camera pod vs. the older one. This made a marked difference (for the better) with overall rocket performance. It appears that the ejection delay needs to be changed from the current five seconds back to seven. 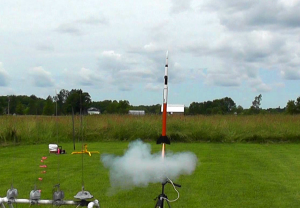 Altitude was much higher as well, and will improve more with a longer ejection delay charge. 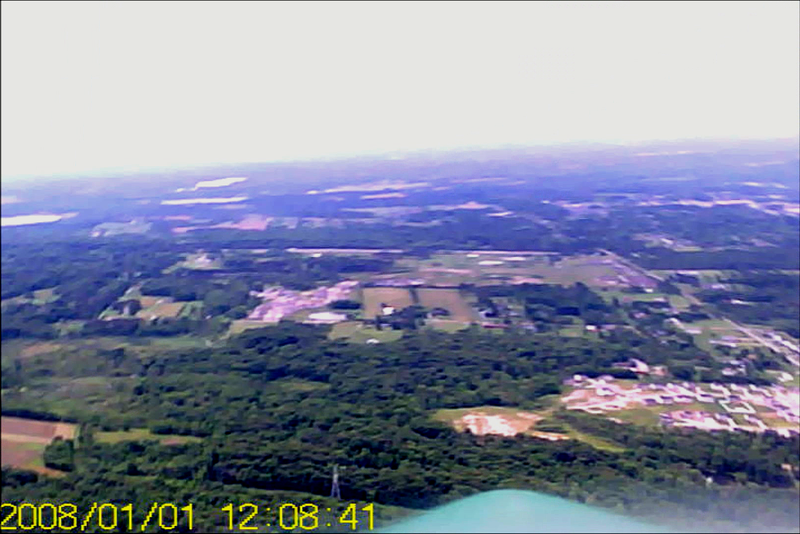 Firefly captured some impressive views from an estimated 1450+ feet in the air. 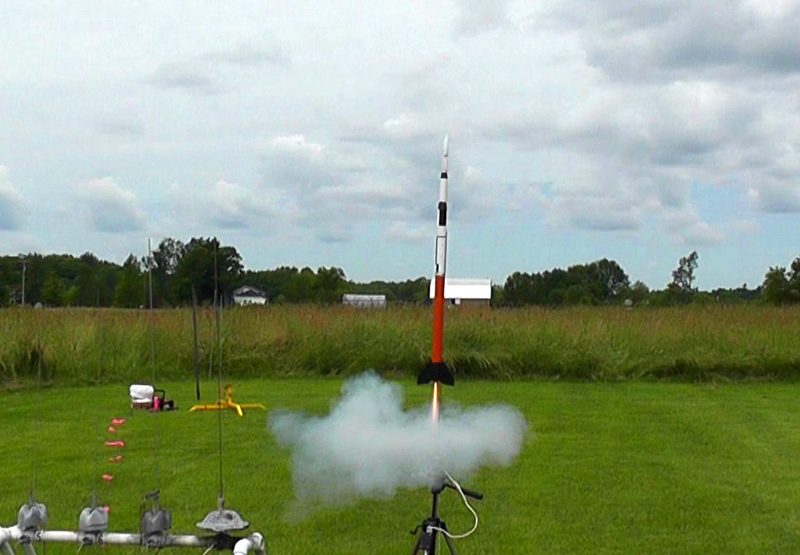 Artemis rocket “Garfield” made a couple of impressive flights on its return to the sky flights. The last flights of any Artemis rocket was July 25th, 2010. It was nice to see the rocket fly majestically again! The missions for Garfield this time were to test the new anti-zipper design modifications as well as the modification to its payload sections. I’ll post more data & videos soon! All in all…a successful flight day!